Reflecting life in all its fullness on a Sunday Morning. True or False: England has more churches than pubs? Skipper Russ Fairman from Celebrate Sailing Mission Southampton hopes to form a ring of prayer and praise around the nation. In nearly two weeks cruiser-racer Mintaka sets sail from Hamble Quay in Hampshire. Avila Diana makes cards for minorities because she couldn't find any that represented her. When Tim Daykin was sent home early from Sunday School for being naughty he never thought he would end up as a Church of England vicar - or presenting Sunday morning programmes for BBC Radio Solent! Inspirational music coupled with lively conversation and guests from the faith communities provide a unique mix to start a special day. Tim rounds up the week's religious news, meets people of faith and delves into the moral and ethical questions of the day. Tim lives in the New Forest and spends time with his family, including three grand children and on the Allotment just a few hundred yards away. After studying chemistry at the University of London's Royal Holloway College in the early 1970s, Tim went on to train as a minister in Durham and then spent several years as a part time church history research student at King's College London. Married to Ruth since 1975, Tim believes religion is not just about musty churches and misery but should reflect life in all its fullness. 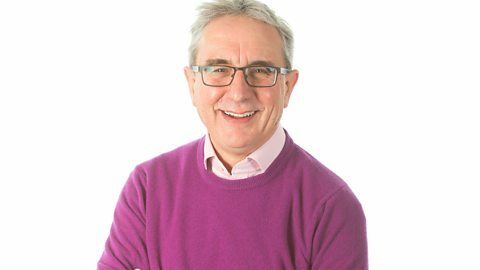 After several years contributing Morning Thoughts on the Julian Clegg Breakfast Show, being "rent-a-gob" on religious issues (that's what he calls it), the bosses asked him to take over the regular Sunday morning programme.